Paula Deen isn't the only celebrity guilty of using the "N" word a long time ago. One of Agatha Christie's most popular books started out as "10 Little 'N's". It was changed to "10 Little Indians" and finally changed to "And Then There Were None." I am just about to re-read the mystery which I had originally read as "10 Little Indians" I didn't realize that the title had been changed, so I thought that I was buying a Christie that I hadn't read before - not so. Oh well! It's been years since I read it the first time and I have forgotten a lot, I hope that it's still entertaining. The mystery was first published in 1939. Fortunately times have changed. I'm with Katrina. This concept is one of the reasons some folks are trying to change Mark Twain's stuff! If we still have freedom of speech, why in the world would anyone want to mess with Huck Finn, which is one of the best books of its time? I admit I don't like cuss words or sexually explicit stuff, but I don't have to look. As for men and boys who do look--they too have the same choice. If they act on bad stuff, it becomes another matter. From a historical perspective I wish things could be left alone. Right or wrong the historical context is important. I have an old copy of Little Black Sambo and the illustrations depict the scenery and the child as an Asian Indian looking child and setting. Odd because other books depict him as African black. Interesting post Carol. I love this book. Believe it or not, the tittle hasn't changed in France. I don't know why. I will never get it! Here is what I found: "Ten Little Niggers" was the British title, based on a British nursery rhyme. "Ten Little Indians" was the title for the American version, based on an American nursery rhyme. 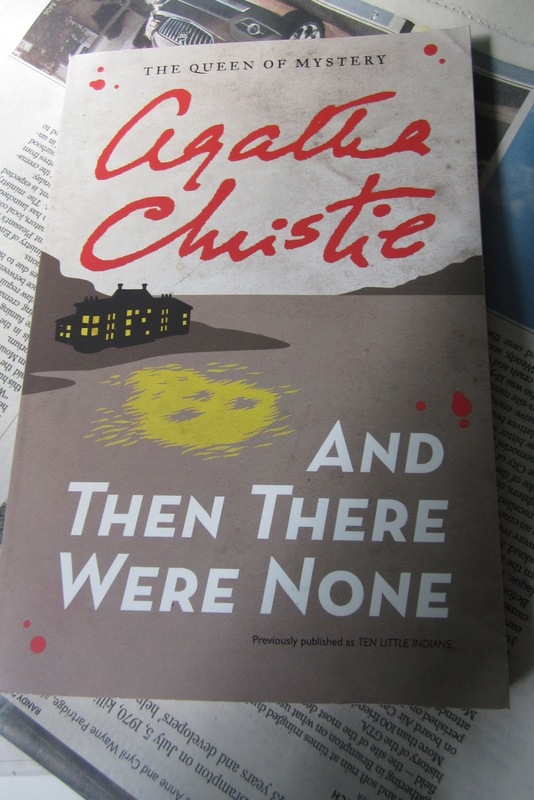 "And then there were none", the second half of the last verse, common to both British and American versions, was the title of the first movie based on that book. Then, they changed the book title. I doubt that it's a sensitivity matter. It seems to me that it was a common denominator to get both British and American readers to buy the book after the movie was released. As for the French title, you could hardly use "Et il n'en resta plus aucun" or "N'en resta plus… du tout" as a title (there seems to be two official translations of Ten Little Niggers, none that I know of of Ten Little Indians). It's completely inelegant, it makes no sense and it has no punch. Precision: I'm talking about official translations of the nursery rhyme, not Agatha Christie's novel.